The following is a selection of recent projects I have been intimately involved in. If you are interested in working together, you can reach me here. Kindful has been on a tear, bringing high-quality analytics and automation to social impact organizations through a powerful CRM product. With customer acquisition growing steadily, plus a number of big integrations with services like Stripe and Zapier, they raised a $3.5 million funding round in 2016 to usher in the company’s next stage of growth. One of the timeless challenges of scaling a company is that usually the strategies which get you to a certain stage are not the same as those that will take you to the next. Kindful was beginning to face this realization. The early adopters understood the power of a great tech product. But nearing 1,000 organizations using the tool, they realized the next set of customers were going to need much more education before joining. As a team of technologists, Kindful needed somebody who understood their technology and users, and could communicate the concepts underlying the product in a way their prospects would be excited about. When we first began talking, they were interested in putting together an ebook. But as we analyzed their goals and new directions in digital marketing, we decided it made more sense to do a drip email course. Focused on explaining the benefits of automation for their target market, and then introducing the prospects to new tools and useful step-by-step guides, the course would progress people towards a Kindful demo. The Forbes Funds is one of the more unique philanthropies in the US. They are constantly iterating on their strategies for creating social impact, launching new partnerships and programming, and embracing innovative new models for funding. Recently, The Forbes Funds along with BNY Mellon, launched the UpPrize, a social innovation competition for entrepreneurs dedicated to making a positive impact through their companies. It is no wonder I have long been attracted to this organization’s work. Back when I was in grad school, I built an evaluation system and authored a national benchmark report on business planning and strategic planning cost discrepancies for The Forbes Funds. When I was brought in recently, the organization was undergoing a period of significant growth. In addition to an expanded staff, The Forbes Funds was in the midst of an executive transition and beginning to work more closely with the startup community. With all of this going on, programming had fallen through the cracks. They needed somebody who could jump in immediately and manage and market dozens of events on their own. To operate such a portfolio, I also introduced tools for streamlining the programming management process. Because The Forbes Funds audience was expanding, the programming needed to include more comprehensive offerings. Rather than providing more general opportunities which would appeal minimally to lots of people but strongly to no one, we focused the strategy around increasing the number of targeted programs. So on top of traditional capacity building areas, we helped organizations navigate changing trends in technology, funding, policy, and research by partnering with cross-sector leaders. The new programming successfully served its diverse audience that included people ranging from social entrepreneurs and nonprofits, to banks and venture capitalists. With this approach, The Forbes Funds enjoyed an increase in attendance by more than 300% over the prior year. The founder of Epsilon Eight, Chris Eigner, is an amazing person. In addition to serving as the Chief Technology Officer of a blockchain investment fund, he has built software for some amazing companies and government projects. His firm, Epsilon Eight is a product development agency based in Denver, CO. They have worked with startups funded by some of the most well-known venture firms in the world, and with companies in the energy, payments, and education industries. They had built up an outstanding roster of clients and developed valuable tools for them. But Chris realized Epsilon Eight wasn’t capturing and communicating the impact of their work like they could be. The hard part was in knowing how to make the technical projects come to life. How could we tell the story of impact their work was having for clients? How could we make it compelling for their new prospects? We quickly settled into an efficient workflow, and I went to work coalescing conversations we had about a series of projects into case studies. We made sure the pieces not only conveyed Epsilon Eight’s technical proficiency, but also the story and impact of their involvement on their clients’ own goals. We utilized a hero’s journey story arc for each of the cases, highlighting the great reputations of the client companies and the role Epsilon Eight played in helping them solve major technical challenges that were poised to derail their success. Plus we brought in leadership from the clients profiled to provide key quotes, confirm timelines, and give their blessing for the content’s distribution. Epsilon Eight now has a series of case studies that demonstrate the value they bring to each of their clients which can be shared with each new prospective customer who walks through their doors. For more than 20 years, Food on Foot has been getting people off the streets and into full-time jobs and their very own apartments. Even more incredibly, they have managed to do all of this without accepting a dime of government funding. In place of bureaucratic red tape, Food on Foot has built up a base of supporters who believe in both the mission of helping the homeless and for how the organization has chosen to do its work. These supporters range from youth volunteers to major public figures like Demi Lovato and Bob Odenkirk. Even with such a strong audience, the financial recession was causing members of their $98 Club - people of pledge to give at least $98 a month for 12 months or more - to cancel their giving unexpectedly. While new supporters were still coming in, giving suddenly began trending downwards for the first time, and little was working to stem the decline. For an organization built on recurring revenue from individuals, this posed an existential threat. Is this business model without government funding still sustainable? Jay Goldinger, Founder and Executive Director, reached out to me to find a way to establish new growth in the organization’s fundraising. We got right to work, running a series of analyses to understand where the problems of donor retention were really coming from, and then developing a number of solutions. The first place we focused was on redesigning the online giving page. Because Food on Foot relies heavily on recurring revenue from online gifts, making this page as user-friendly as possible was critical. The current page had excessive content and used a design that de-prioritized giving. We cleaned up the design in order to boost online giving by writing more compelling content, incorporating video, using testimonials, and modernizing the layout in accordance with current design standards. We also built a comprehensive and coordinated multi-channel campaign that synchronized a series of Facebook ads, an email campaign, and direct mail letters. The team wanted to rethink the format of annual appeals to focus less on desperation and more on highlighting the impact of their clients' hard work and success, and we framed our work around these aims. The results have been impressive. Almost immediately, we had reversed the downward trend in donor retention, and continued to see recurring revenue grow month-over-month from there. By building out and driving people to a specific sponsorship offering, Food on Foot also saw quick revenue boost in this area, including an increase in five-digit gifts, and was able to better highlight their strongest supporters to encourage long-term sponsor retention. The multi-channel campaign is currently live. Check back in early 2018 for updated info upon its completion. Dwilly was designed to embody the research on how and why innovation works. Built as a global social innovation community with engineers, entrepreneurs, designers, professors, social workers, investors, and more, Dwilly generated 3,000+ solutions to social problems with people from all over the world. While there is a tremendous amount of insight into how innovation works, people in every industry from startup accelerators to within corporations continue making similar mistakes which undermine their potential for success. Having monitored these failures closely, I was committed to creating a more successful model for innovating on social issues. People were unsure if it would work, with many people believing others wouldn’t give away their ideas without financial compensation. By deeply thinking through the product design, and understanding the target market before launching, I knew it could be done. To launch the Dwilly community, I started with a referral system. Reaching out to 75 or so inspiring people I knew, I personally asked if they’d join and refer one or two additional people they think might be interested. This built an initial group of first- and second-level connections who had the combination of skills I wanted Dwilly to embody - driven, creative, and generous. From there, I used more scalable community building approaches. It was important to me that everything built relationships, invited surprise, and highlighted the individuals who make up the community. Dwilly engaged people immediately. Many were taken aback, not only by how intriguing its execution was, but by how invested they were in participating. They were impressed by others and felt pushed to come up with better and better ideas themselves. The format, community, content areas, curation process, all of it was done strategically to get people to do something brand new: use their expertise to generate solutions to problems in new areas. The design strategy worked. The unique and powerful format of Dwilly also led to an exploratory partnership with the innovation department of a major US city, in order to use the community to directly impact real-world issues. We released more than 100 new ideas for redesigning urban public transportation. In its first three months, Dwilly was generating 3,000+ ideas, more than the largest social innovation communities online do in a year. I have since published well-received articles on the strategy behind Dwilly, as well as spoken about my approach on a number of podcasts. Community Human Services Corporation (CHS) is one of the largest and most well-respected housing providers in the Pittsburgh region. They serve thousands of people each year through a portfolio of properties and programs designed to serve those who are in need. The culture of CHS, its utmost valuing their customers, is palpable. It is one of those organizations that seamlessly blends innovation with grassroots grit, and I’ve long-been attracted to their work. Committed to finding and embracing innovative new ways of doing their work, the leadership of CHS regularly looks internally and externally for opportunities. We worked on two projects together, both aimed at better strengthening operations and demonstrating their impact. Assessing the ability of each program to demonstrate its impact in a compelling way was a key part of each. What was working really well? How could the customer experience be better designed? What evidence was there for impact? How would public policy impact the future of their work? How could technology improve staff workflows? To assess these aspects and more, I employed methodologies from a range of fields. From customer interviews and observations to financial projections and policy analyses, I wanted to understand issues from a variety of perspectives, and to be sure any recommended solutions did as well. The work was guided by the goal of making work more efficient, customer experiences even higher quality, and an ability to better convey the value of these services. These resulted in both a number of both strategic and tactical recommendations. From specific changes for making their database more user-friendly to cost-saving measures related to geographic clustering or reductions in hospital admissions, I placed an emphasis on providing a range of recommendations. As with an organizational change effort, it was important to provide options that could be implemented immediately and successfully, as well as produce opportunities for longer term implementation. Findings from both projects have been utilized within the organization. 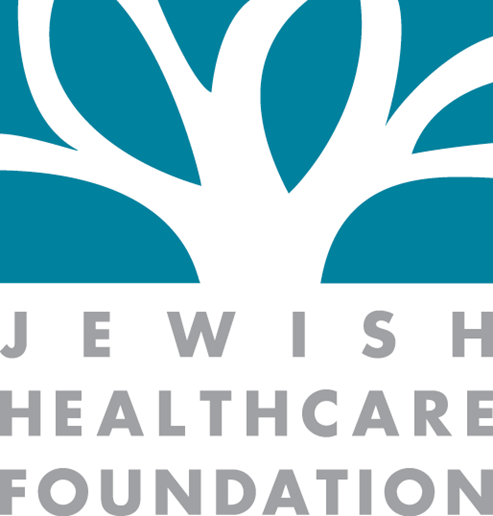 The Jewish Healthcare Foundation (JHF) is a widely recognized leader in healthcare improvement. In 1997, they co-founded a major organization for improving care with Paul O’neill, the former Secretary of the Treasury of the United States and past CEO of Alcoa whose work on business improvement has been profiled in Harvard Business School case studies and popularized as the lead chapter in Charles Duhigg’s bestselling book, The Power of Habits. JHF has demonstrated extraordinary success working on persistent and preventable issues like hospital-acquired infections and hospital readmissions. Their work has been funded by CMS, HRSA, and many others. But American healthcare is an extremely complex system, and the high costs and poor outcomes are a result of multi-layered problems. While JHF had been successful as one of the first groups using Lean principles in healthcare, new technologies and business models were coming along with the potential to disrupt healthcare altogether. In order to find new ways to fix healthcare, JHF committed to launching more innovative initiatives and building connections with healthcare startups and technologists. One of the first things we did was design and launch a brand new program called the Health Innovators Fellowship. Pairing multi-disciplinary teams of 20 young entrepreneurs with successful business executives and healthcare leaders, this was a competitive program for developing new technologies. In addition to strengthening JHF’s relationships with the startup community, the Fellowship has also led some participants to continue working on their companies, raising millions of dollars from investors. An even larger innovation effort was launched as well. We believed, with a new model of service design, we could dramatically and measurably improve the lives of people living with HIV/AIDS. Further, we believed we could help those who needed the most help - those individuals who were HIV+ but, for any number of reasons, were not in medical care. Our aim was to develop a statewide network to find and build relationships with these individuals that would help them not only be re-engaged in care but retained. We launched the HIV initiative with a statewide network of 20 hospitals, community groups, and clinics. In addition to leading the overall program, we designed it to include an emphasis on data, using Lean for service design, and integrating mobile tech into health services. My work was focused on the design and data aspects of this multi-million dollar effort. I was responsible for the ongoing analysis of health outcomes for more than 1,500 participants, including demonstrating a nearly 80% reduction in aggregate viral load for those who were retained in care. One of our service redesign projects cut the total patient visit time by more than 50%, enabling the clinic to double the number of people they could serve in the same amount of time. I co-presented on the initiative’s model, design, and data at nearly a dozen conferences, including an international conference on health at USC and a nonprofit tech conference at Google. Fundraising Genius is an innovative growth marketing course for nonprofit executives and fundraisers. Having taught new, proven techniques for raising money to people from MIT, United Way, and others, I wanted to put together a complete course that people from organization of any size could use to bring in more money for their causes. It is no secret that the nonprofit world trails most other industries in terms of technology, strategy, design, and more. One of the big reasons why new approaches are not adopted more readily by nonprofits is that they are not presented in terms people working with causes easily apply to their work. With Fundraising Genius, I wanted to translate the most cutting-edge audience building techniques, design strategies, retention tactics, and more from tech startups for use by those helping our most vulnerable. The Fundraising Genius Masterclass is a comprehensive course with 24 video and written lessons, 11 custom resources, and much more. It has been used by dozens of leaders from universities and nonprofits, and featured by a number of podcasts and outlets.